Keep summer entertaining simple with these easy appetizer recipes that keep you on the porch–and out of the kitchen. 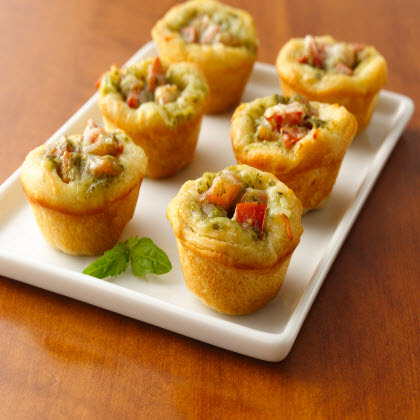 The delicate appearance of these little appetizers belies their robust Italian flavor! Keep those guests happy before the main meal this year with these fantastic and flavorful holiday appetizers. Perfect to whip up for the Christmas party, these appetizers are hearty without being too overly filling. With delicious dishes like crostini toasts, dips, and all kinds of cheeses, these appetizers are sure to become a festive addition to the party. Use the versatile puff pastry to create a variety of festive and impressive appetizers. Rev up your appetite with smoky, saucy, and all-around scrumptious seafood appetizers that will impress a crowd. Appetizers often serve as dinner during the hectic holidays, so make your dinner worthwhile with these satisfying chicken starters. Reduce your game-day stress with these 5-ingredient easy appetizers and enjoy all of the tailgating festivities. 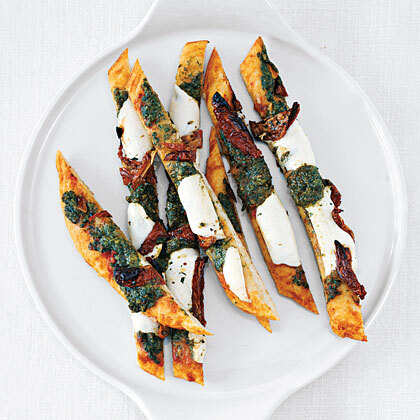 Impress your guests with these sophisticated five-ingredient-or-less appetizers. They're elegant, easy, and, because they have so few ingredients, won't break your budget. These recipes range from great dips, fantastic cocktail shrimp platters, or even elegant party crackers. Serve up a great dish of goodies to your guests while making it easy on your budget. 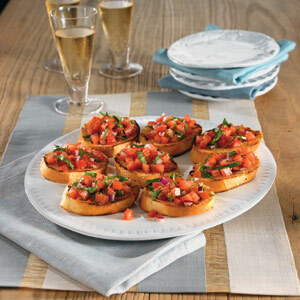 Impress your guest with these tasty party appetizers and first-course dishes from Food & Wine that are guaranteed to stimulate your appetite. Start off your Labor Day feast right with these crowd-pleasing appetizers, including creamy dips, finger foods, and other tasty snacks.